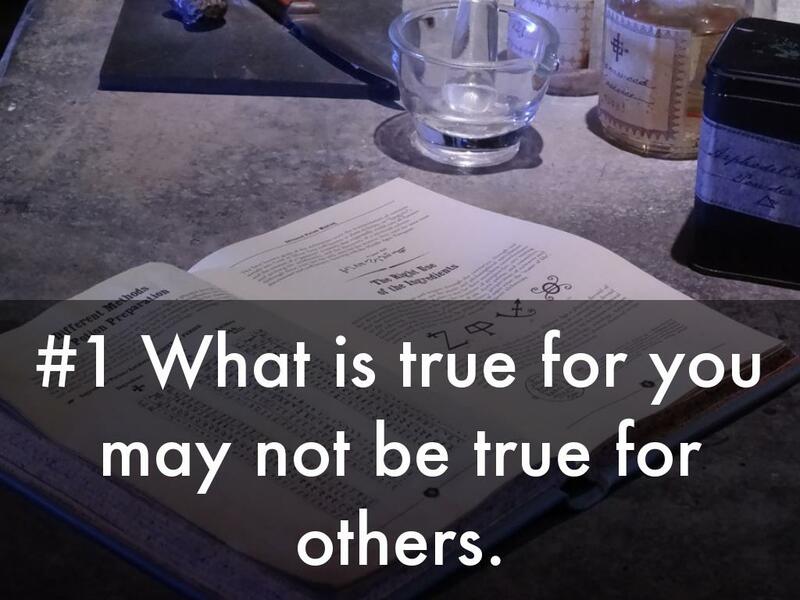 #1 What is true for you may not be true for others. 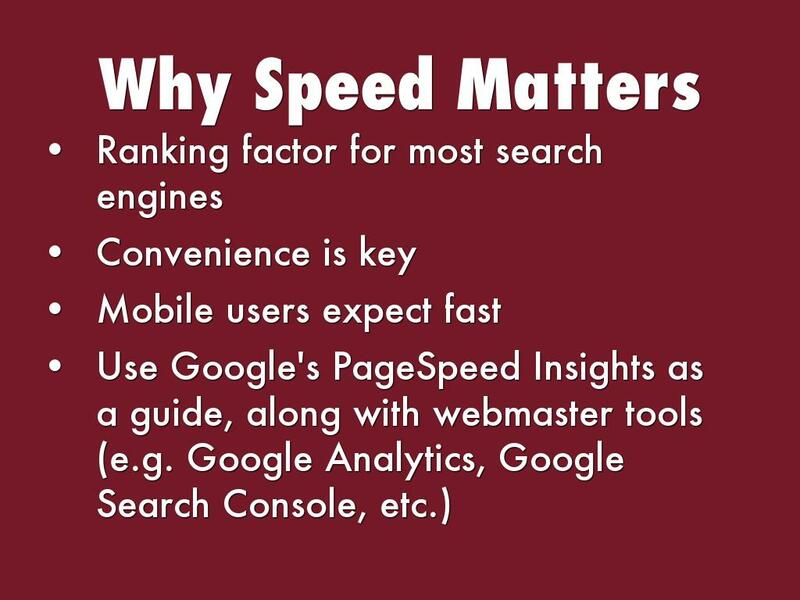 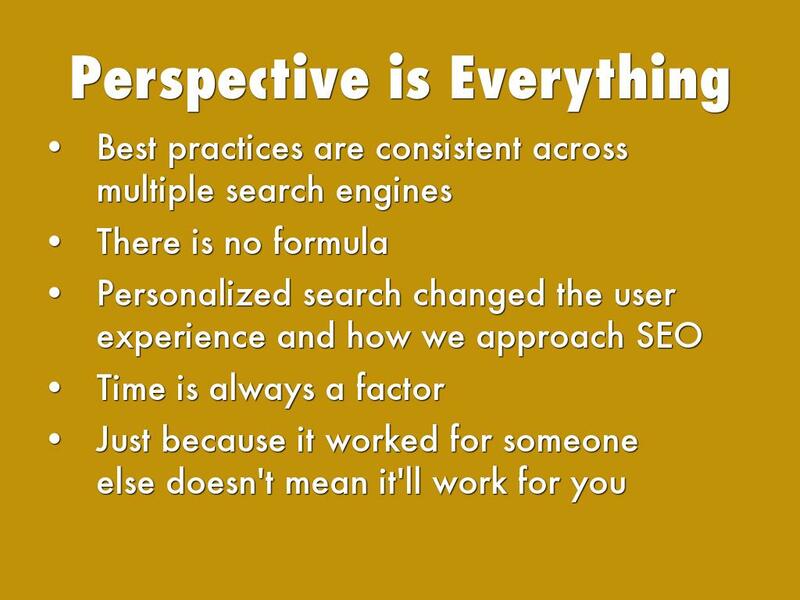 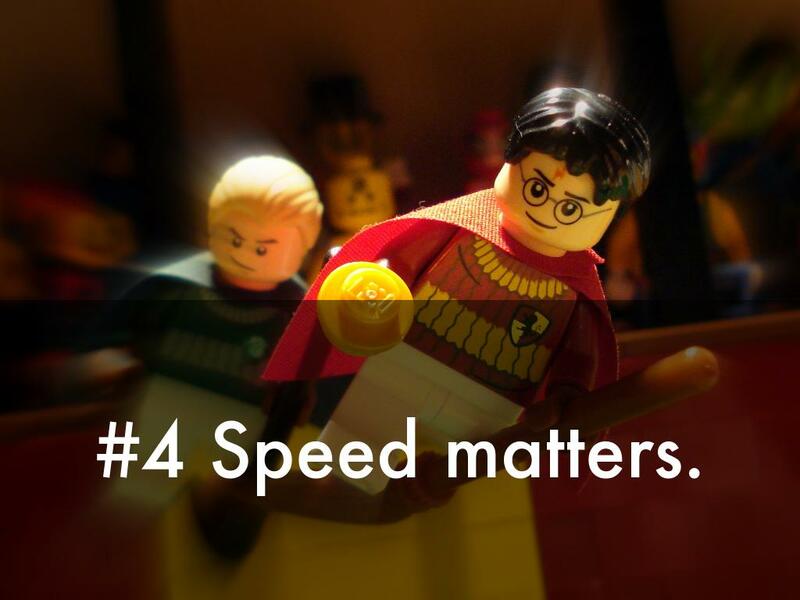 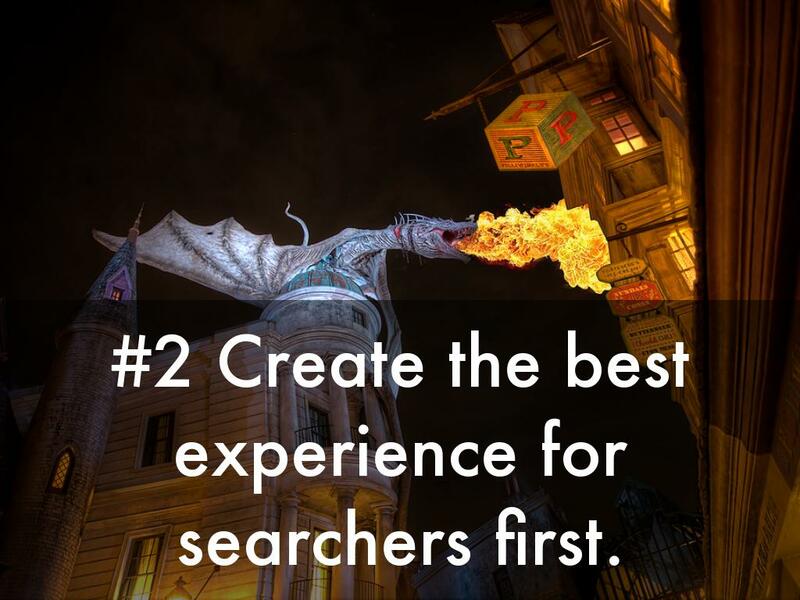 #2 Create the best experience for searchers first. 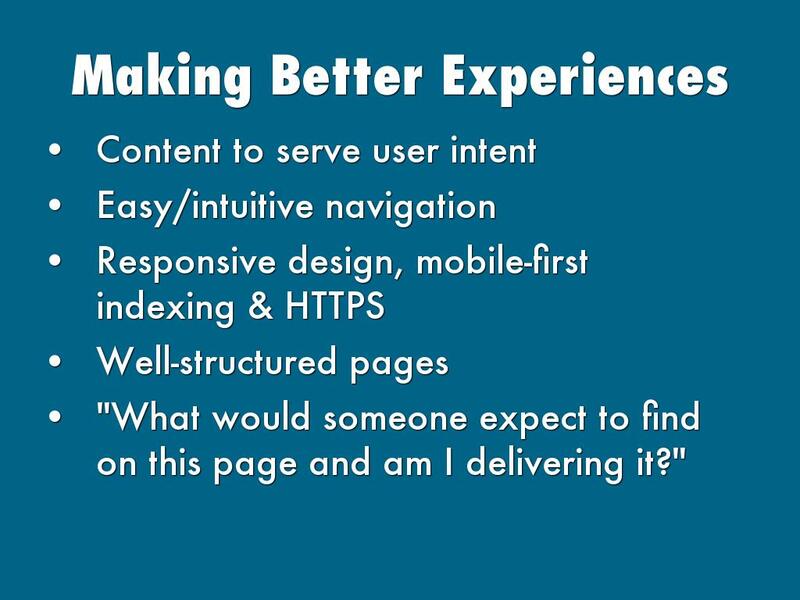 "What would someone expect to find on this page and am I delivering it?" 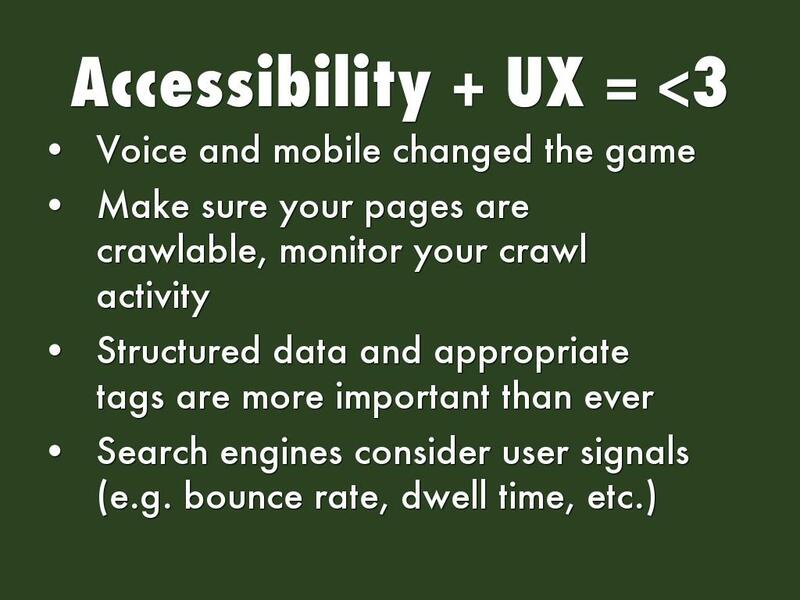 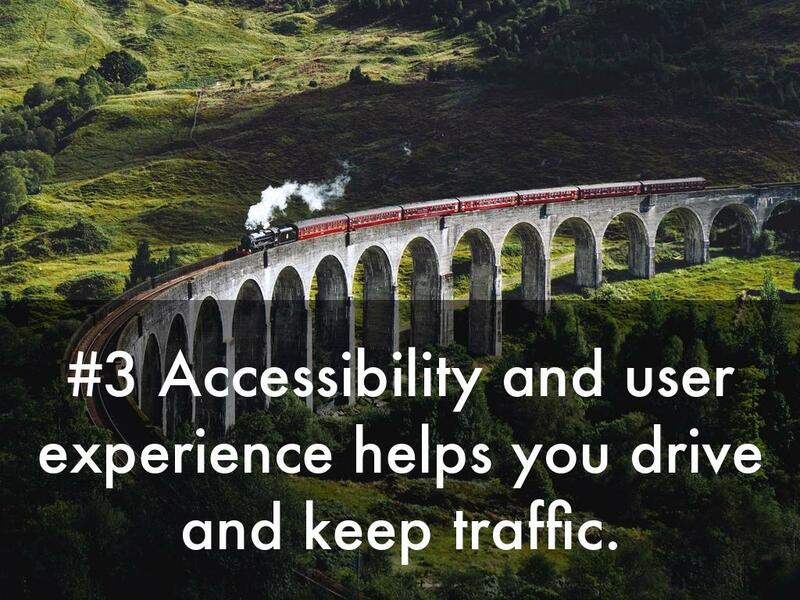 #3 Accessibility and user experience helps you drive and keep traffic. 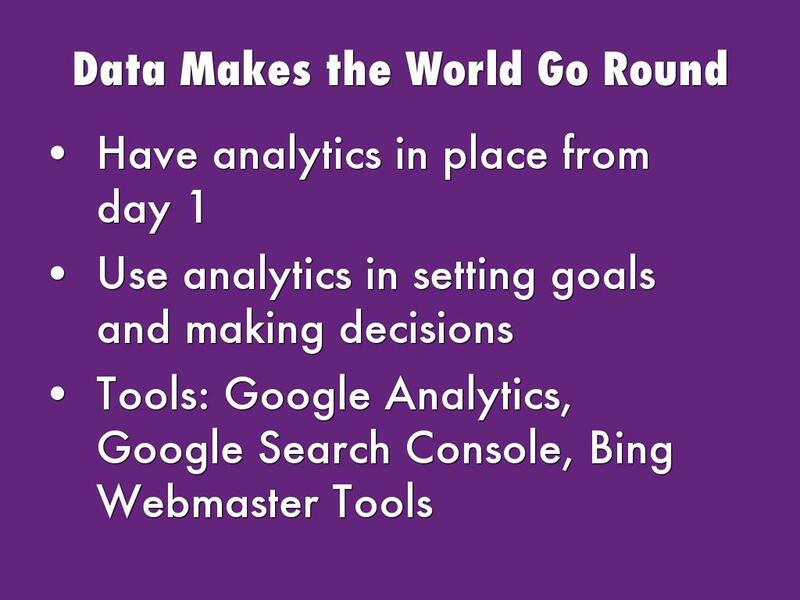 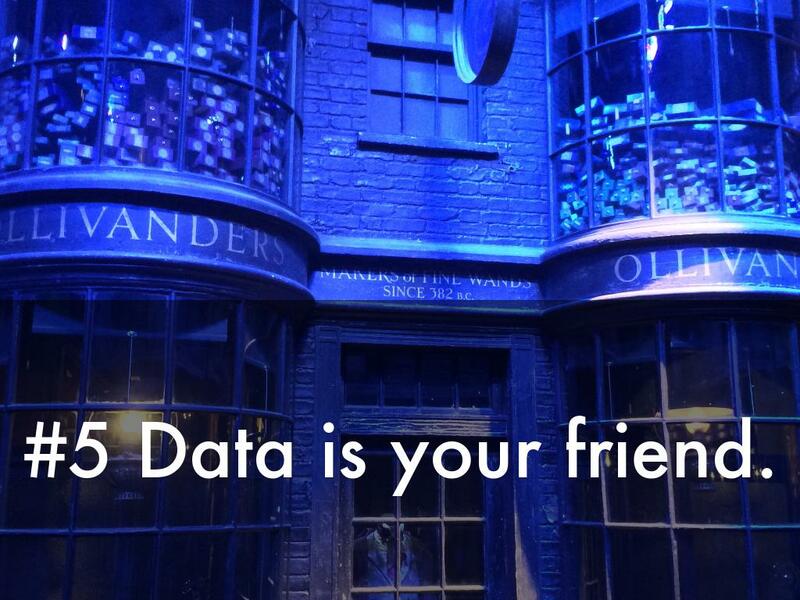 #5 Data is your friend. 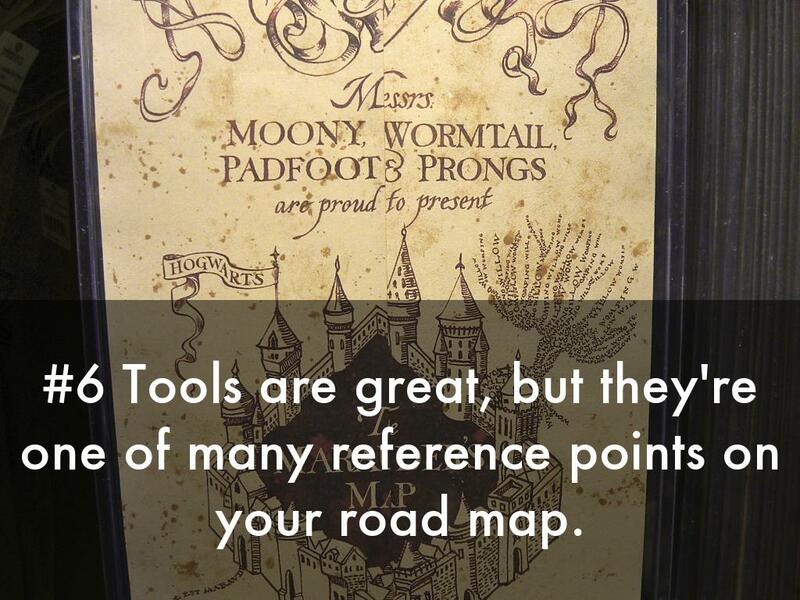 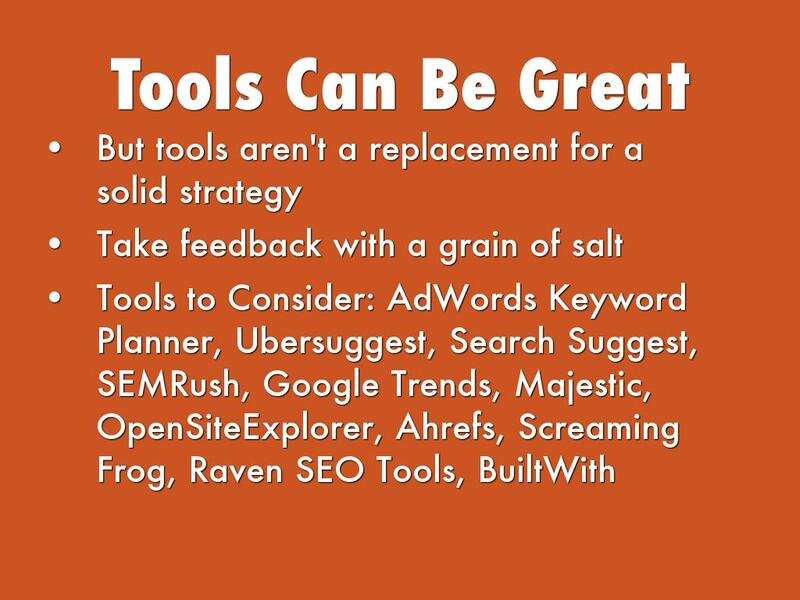 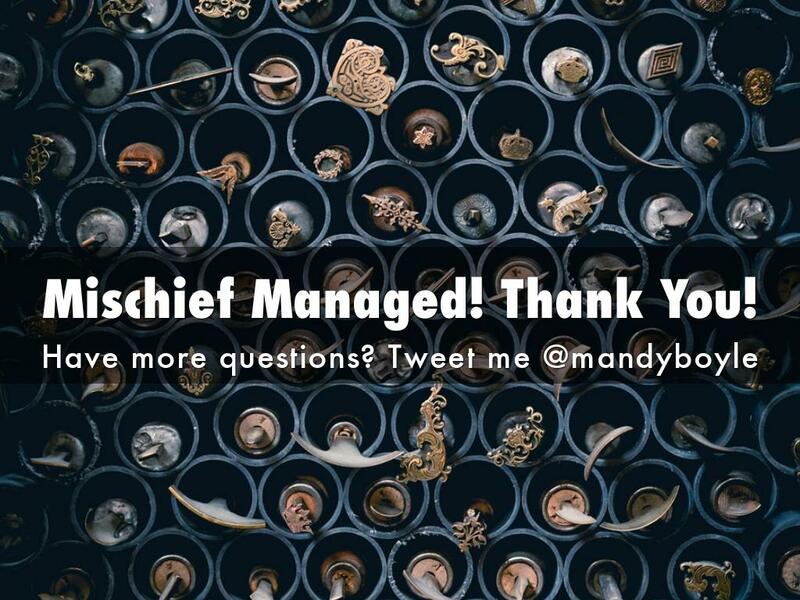 #6 Tools are great, but they're one of many reference points on your road map. 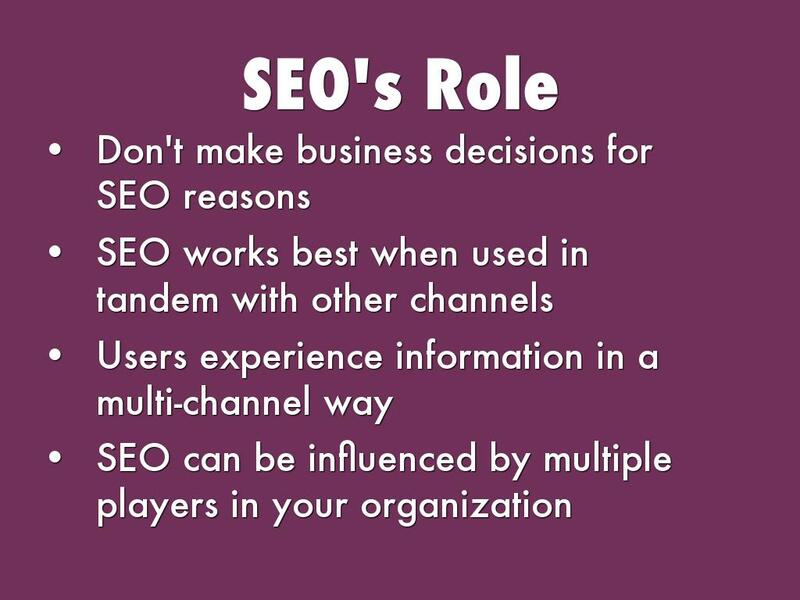 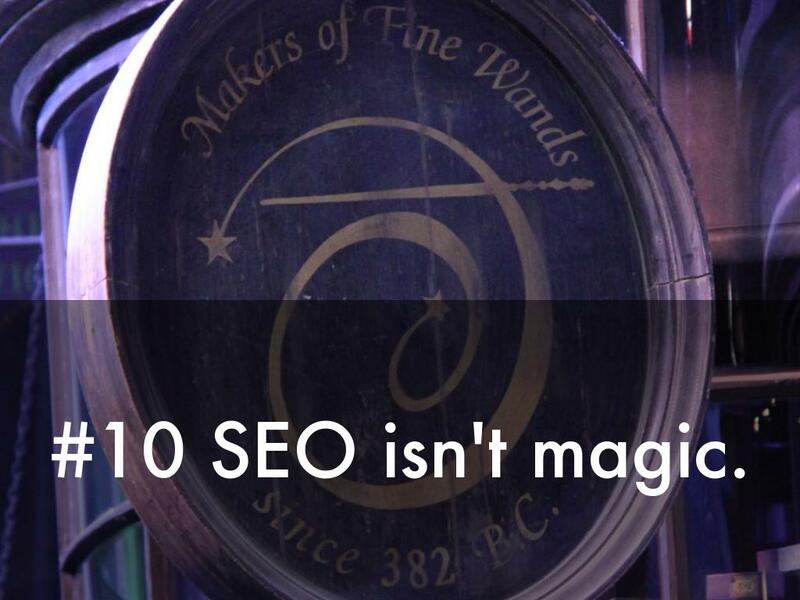 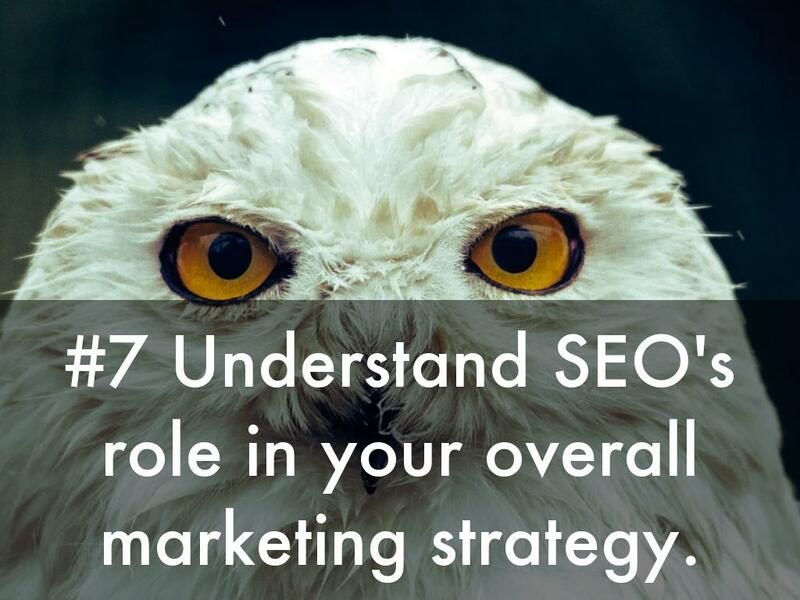 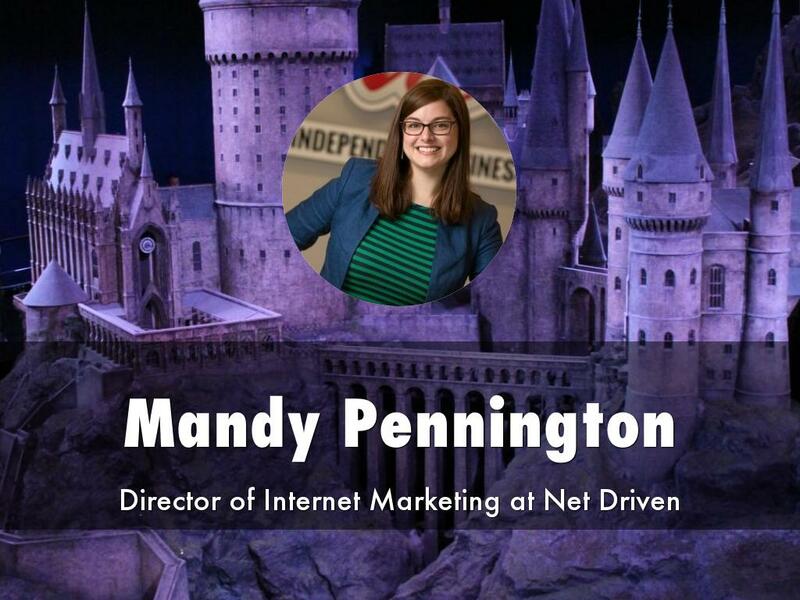 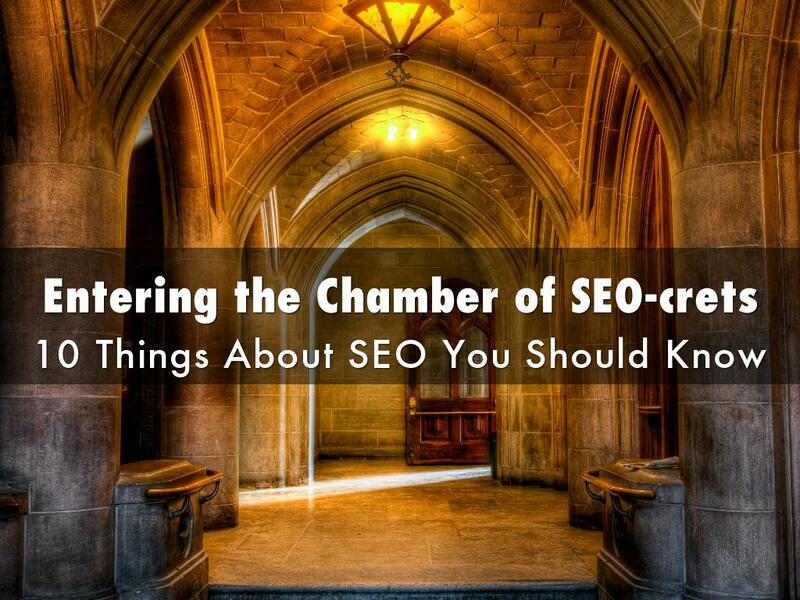 #7 Understand SEO's role in your overall marketing strategy. 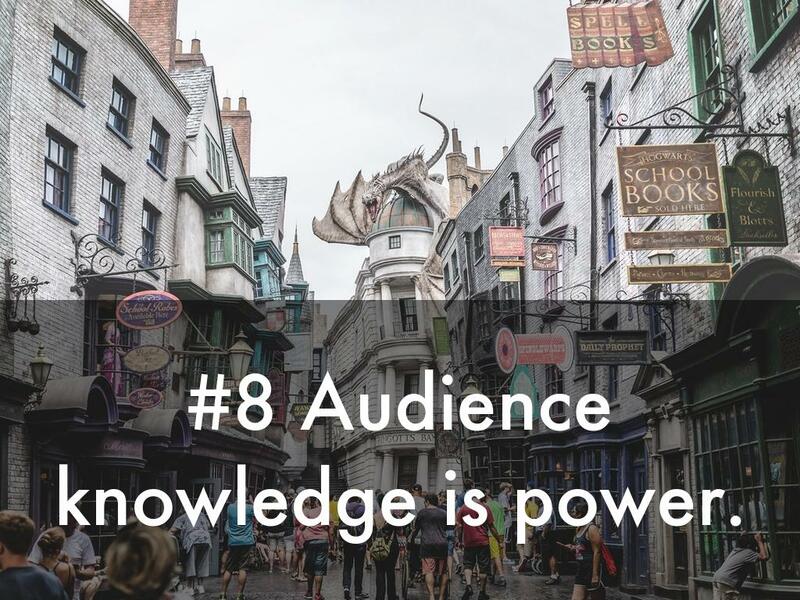 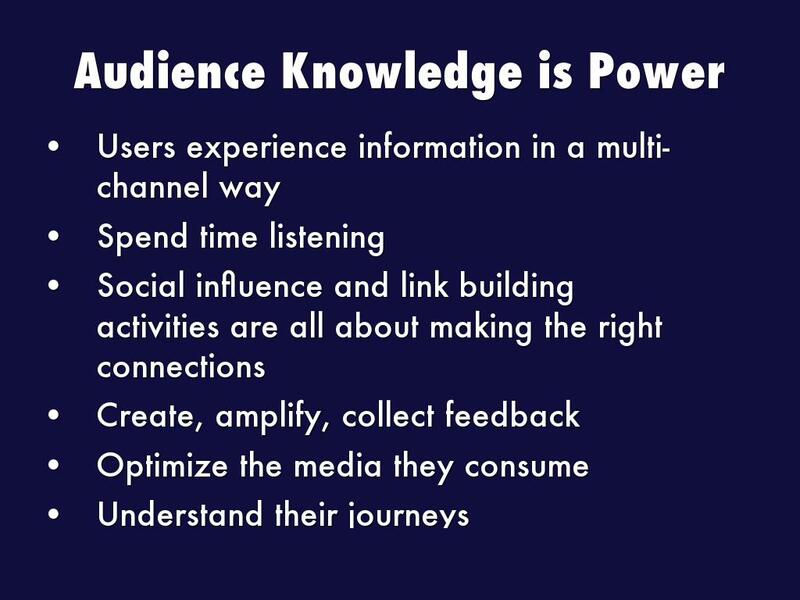 #8 Audience knowledge is power. 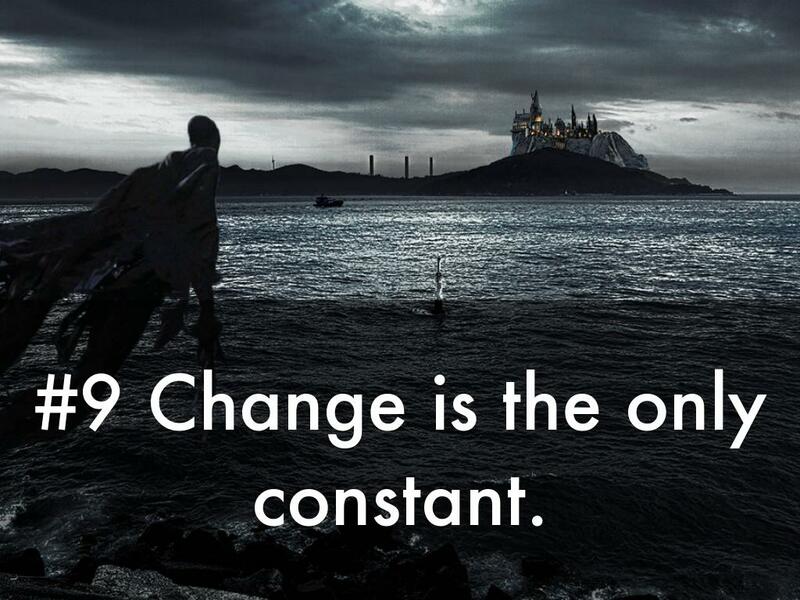 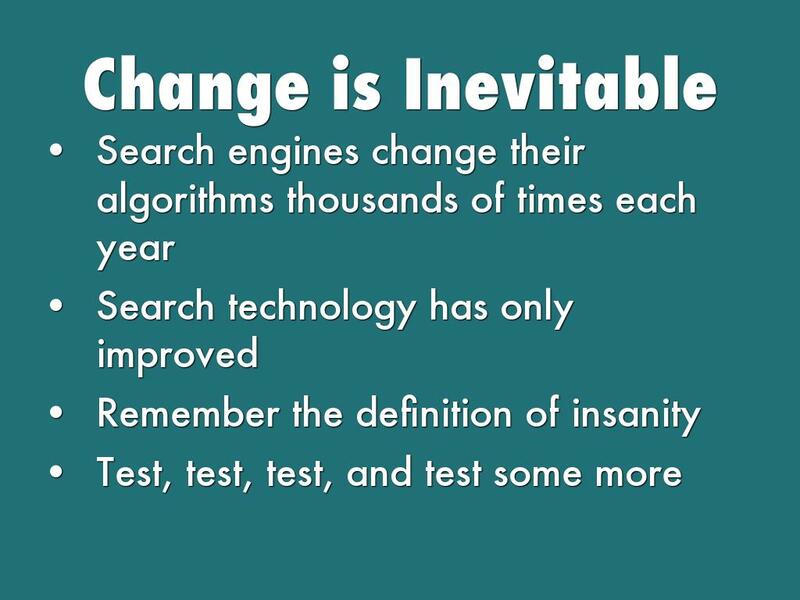 #9 Change is the only constant. 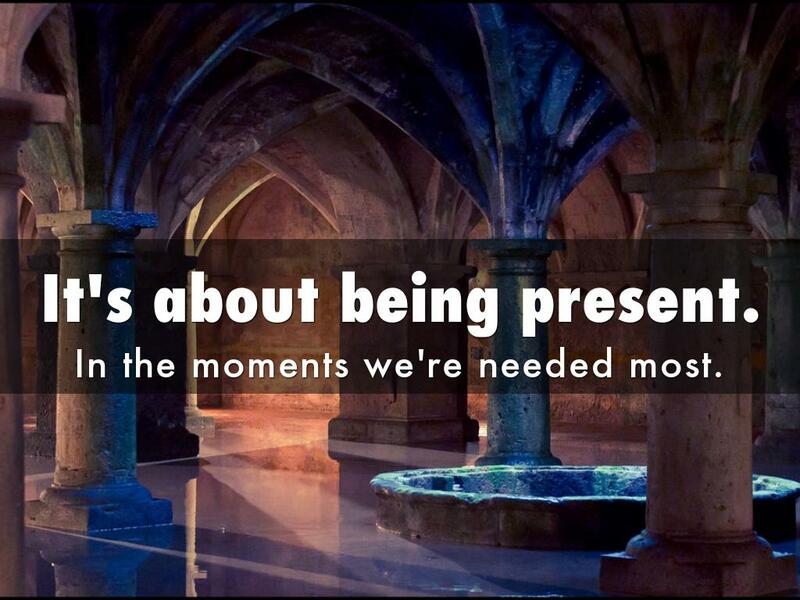 In the moments we're needed most.